Is it possible to make a living while giving away your work for free online? Yes. Is it hard? Yes. Is it worth it? Absolutely. After 15 years stuck behind a desk in the software industry, Bob Clagett walked away from a well paying, stable job to make the things he was interested in and show the world how to make them too. His company, I Like To Make Stuff, started as a hobby but quickly grew into a passion project. 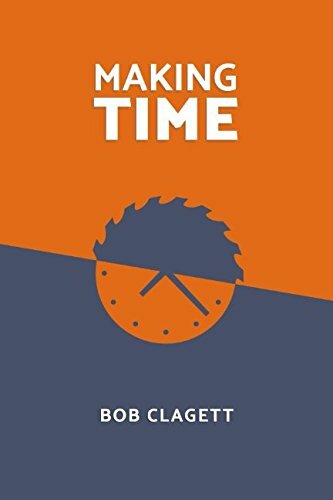 In "Making Time", Bob recounts his history and build up to becoming a full time content creator, and shares his process, experiences and mistakes from his first two years of self employment. The book covers topics from income streams to emotional exhaustion as well as Bob's thoughts on purpose and responsibility. Three Saturdays in a row is enough faires even for this extrovert. But #tinkerit had a good presence at the @avlmakerfaire and @makerfaireburlington along with @craftitnc to kick off #makerfaire season.